Ok, I’ll admit it: I was not enthusiastic when my flight to Maricaibo was canceled and Bogotá became my first stop in South America. I planned to skipped the Colombian capital altogether and I was not at all excited to visit Bogotá. In hindsight, Bogotá most definitely was a better [and probably safer] introduction to South America than Maricaibo. 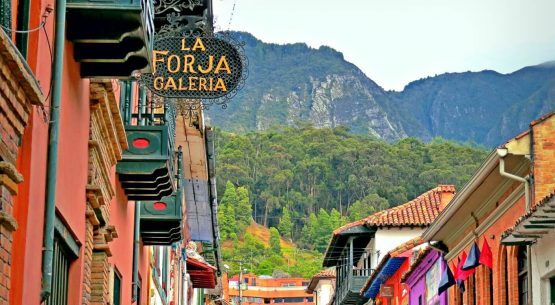 My original plans were to skip Bogotá because I had read so many horror stories of muggings and I hadn’t found any articles in which people were raving about the city. It seemed like most people were rushing through Bogotá, hitting up the most important museums, using it as a transit stop and moving on quickly to the next place, whatever that place may be. Part of the reason for choosing South America was that, in theory, I speak Spanish fluently, or at least I did 10 years ago. I’m feeling a little isolated since I am trying to not speak English unless it is absolutely necessary, but today that changed. Not that I magically became fluent overnight, but it is coming back to me, especially if the person with whom I am speaking speaks slowly (for Spanish). 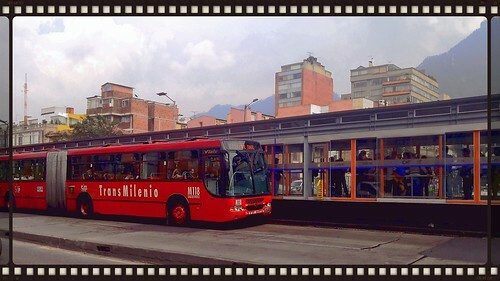 For example, today I took the Transmileno to the other side of Bogotá for no reason than to see another part of the city. On the return trip, I had conversation with an elderly gentleman who sat next to me. It was nothing serious, weather, I’m new in town, ect, but it was a chance to practice Spanish with someone who didn’t speak crazy fast. I’m feeling a little more confident. 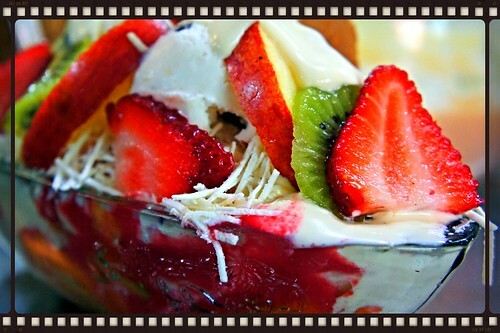 After successfully ordering lunch [3 courses $5500 COP ~3.25], I stopped in the frutería. Fruiteria = a store only for fruit… these are some of the things I love about being away–I’d never get that in the USA. I only wanted to get a few snacks for the road, but I was talked into a fruit salad. Nothing like I’ve ever had. It included mango, papaya, pear, banana, and a couple other fruits I have never seen before. Before leaving, I ask the fruit man Que es esto? esto y esto, and very patiently he shows me all the fruits in the store, both in the natural state and the cut up state. So while my fruit salad was only slightly less than lunch, the education about fruit was worth the $2.75 price tag. 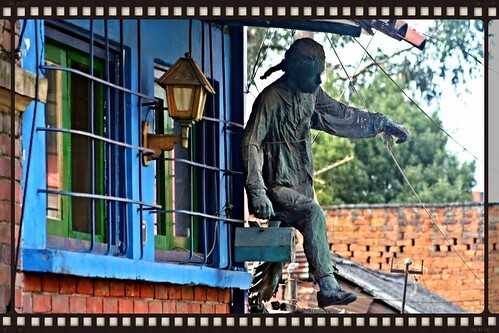 Bogotá is a city of more than 8 million people, and I am not a big-city person, but as if often the case, big cities are full of fascinating history and people. 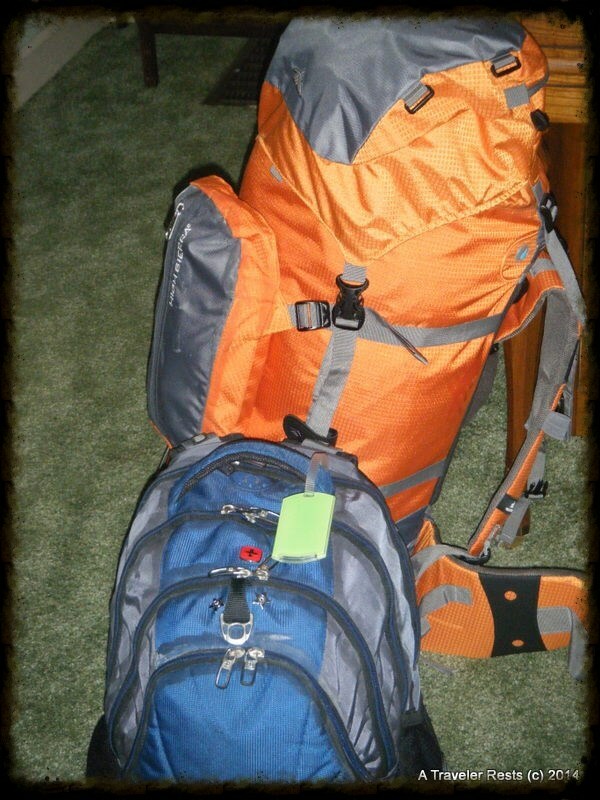 I arrived at El Dorado airport at 2a, a full one day + 18 hours after my intended arrival time. I just wanted to get into a bed as quickly as possible. So I took a taxi, which I hate, to my hostel in Candelaria, where I promptly crashed for a few hours. The next morning, I started to explore the city, and I noticed two things right away: the altitude [O.M.G breathing is so hard] and the thick layer of gray clouds that hover over the city on most days. 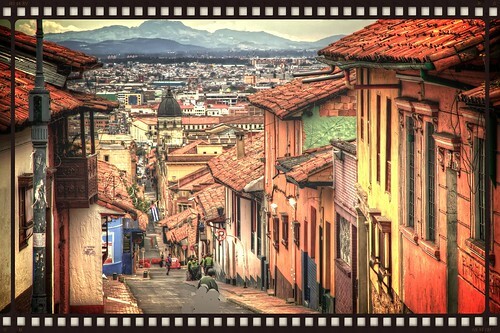 The altitude – Bogotá sits at 8,675 feet– caused me to huff and puff my way up and down Candelaria’s steep streets like a chain-smoking asthmatic; I never got used to it during my two weeks in the city. Bogotá is not exactly warm; I can see why it’s off the radar with most travelers – especially when you were coming from sea level, tropical temperatures and perfect weather. I joined a few of the free walking tours during my stay; they are excellent for getting bearings straight in a new city, finding out a few more details about the city, places to hit up, and adressing safety concerns. They are also good for traveling by yourself but having saftey in numbers. Bogotá blew my mind as an interesting destination and I was always a little bit happy when I had to return to the city for various reasons. Stay tuned for more posts about Bogotá, and how it beyond exceeded my expectations and really got me excited for traveling again.